Hi everyone, Christine here today. Some crafty days it feels just right to make a clean and simple card. 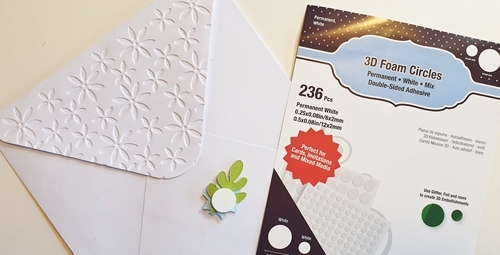 On those days it is always a white card that calls to me with a little dash of color along with my fantastic go-to Scrapbook Adhesives by 3L products. To start, I matted a stamped white card mat onto a white card front using my E-Z Runner® Permanent Strips Refillable Dispenser. 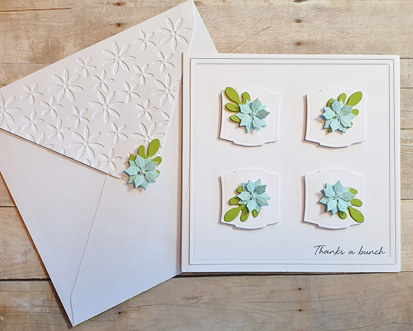 Next, I die cut 4 small labels, 4 leaves and 4 little flowers. I attached 3D Foam Squares Regular on the reverse of each label and for the flowers and leaves I used 3D Foam Squares Small. If you purchase a mix pack you’ve got both sizes to hand, perfect for all sizes of embellishments! Designer’s Tip: When positioning the labels and flowers I used a ruler to check everything was aligned, no-one likes wonky flowers! 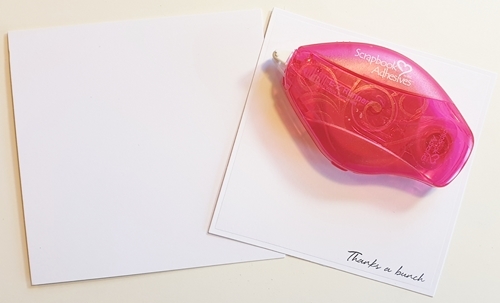 For an additional nice touch select an embossing folder and emboss just the flap of the envelope. I created a further flower and leaf and this time I used 3D Foam Circle to secure it in place. Again these come in a mixed pack and available in black or white so you truly have the best of both worlds! 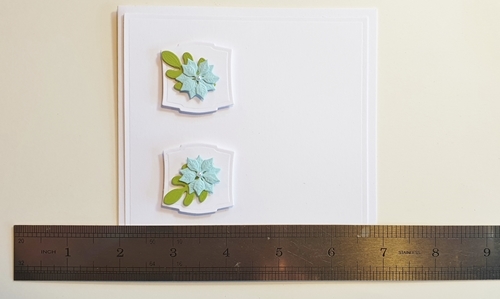 The finished card with pearls for the middle of each flower. It is definitely white with those flowers and leaves adding a splash of brightness. This entry was posted in 3D Foam Circles, 3D Foam Squares, Adhesives, Crafts & Tutorials, E-Z Runner® Dispensers, Intermediate, Permanent Adhesive, Skill Level, Tutorial and tagged 3D Foam Circles White Mix, 3D Foam Squares Mix White, 3D Foam Squares Regular White, 3D Foam Squares Small White, Altenew, Card Making, CAS, Christine Emberson, Clean and Simple, E-Z Runner Permanent Strips Refill, E-Z Runner Permanent Strips Refillable Value Pack, Spellbinders Paper Arts, Thank You, Tutorial. Bookmark the permalink. 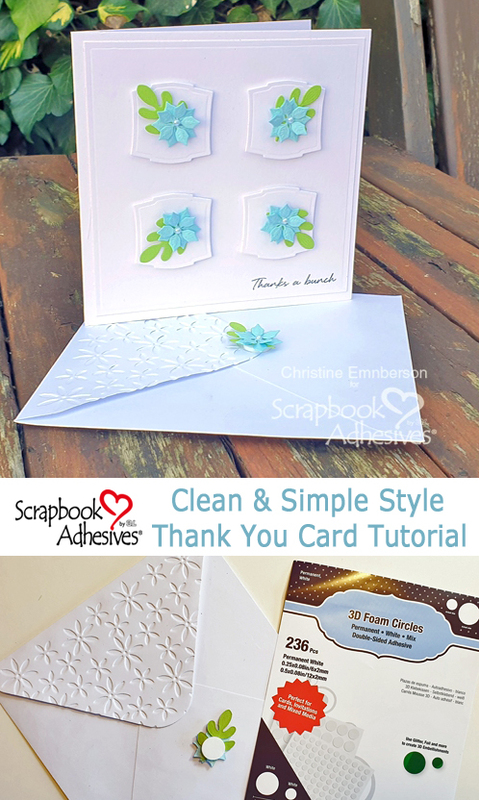 8 Responses to "A Clean and Simple Thank You Card Tutorial"
Beautiful card, love the embossed envelope. 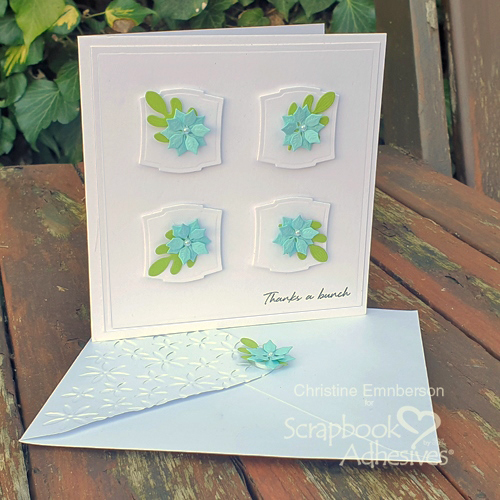 Hi Christine, I’m loving your CAS card and envelope, gorgeous !! 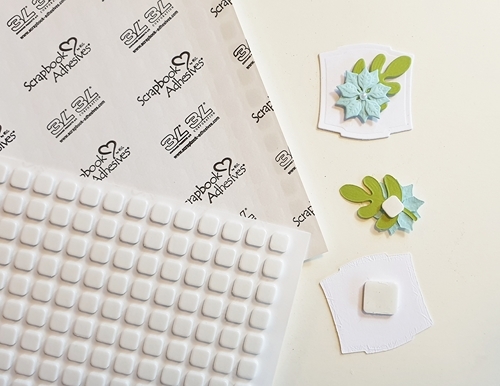 I absolutely love using thes 3D foam squares, they are so easy to use and the outer peels off really easily, they are my favourite foam pads. Is it possible to have this beautiful and simple card as one of the kits that you do.